It’s time to let go of the idea that nanomachines are simply life-sized technology shrunk down to a very small size, vis-à-vis the 1960s movie Fantastic Voyage. Advanced Materials. Using small, rotating magnetic fields, researchers steered the itty bitty machines inside of living cells to trace the letters “N” and “M,” corresponding to the word nanomotor. “We not only showed their motion inside a cell, we have engineered a strategy to move them in controlled fashion” and without hurting the cells, said the paper’s co-author Malay Pal of the Indian Institute of Science in Bangalore, in an email to IEEE. Other popular forms of nanomotors include nanorods propelled by acoustic or electrical means. These tiny, spinning sticks can churn up the inside of a cell, but it is hard to control their direction. Ultrasound-propelled nanorods are also limited because when ultrasound is applied, cells begin to float. That makes it impossible to experiment on cells stuck to a surface, which is the normal state of most cells, notes Pal. Ultrasound may also induce stress in living tissue, causing unintentional damage. Taking another tack, Pal’s PhD advisor, Ambarish Ghosh, a researcher at the Center for Nano Science and Engineering, began to experiment with helical nanostructures controlled by magnetic fields, which do not lift or stress cells. Ghosh, Pal, and collaborators fabricated the nanomotors out of silica, then coated them with iron. 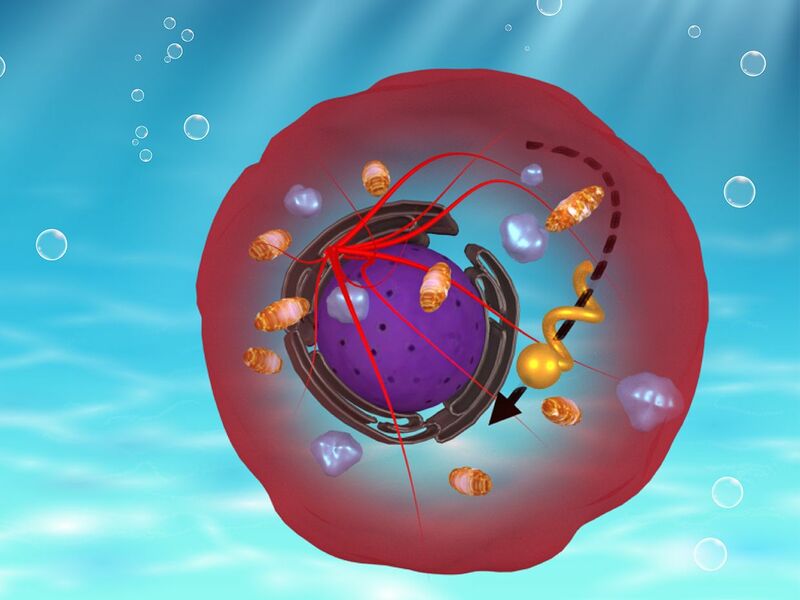 The team evaluated two sizes of these nanomotors (diameters of 400 nanometers and 250 nanometers) in three types of living cells. Most cells took up a single nanomotor, while some incorporated several. The researchers placed a dish with the cells within a magnetic coil under a microscope. Then, by rotating the magnetic field, they were able to control and track the movement of the nanomotors inside the cells. The smaller, 250-nanometer motors were easier to steer than the larger ones, notes Pal. The work is at an early stage, but “these tiny machines have tremendous potential in applications like targeted drug delivery, nano sensing, therapeutic[s and] nano surgery,” said Pal. In January, the team showed they could use the helical nanomachines as sensors to measure the viscosity of a fluid, and as nanotweezers to pick up, transport, and release objects on the nanoscale.